It’s Not Easy to Search. 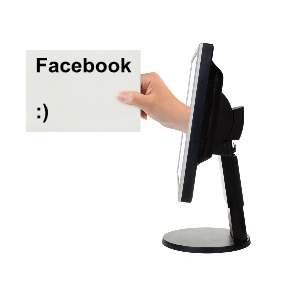 Unless you are a master sourcer or use Boolean search, Facebook is not easy to search, scan, or find job seekers. This is very different than LinkedIn, which makes it’s bread and butter offering a recruiter’s paid access to easily search and find qualified candidates as well as a passive or active job seekers. Messages or Posts Can’t Be Targeted. As a job seeker, I’m typically experienced in a certain industry, trade, or skill. While I may be actively searching for work, Facebook does not offer a way to target messages to that particular user or group of job seekers. I’d love for active job seekers to “opt-in” via Facebook to receive job postings either by an individual company or a Facebook Fan Page or by radius for an entire metropolitan area when a posting fits specific criteria. Many corporate fan pages that provide a Facebook job listings tab offer candidates the option to receive messages either by email or text. Personally, I think Facebook is missing out on a potentially lucrative job seeker notification system, but then again not every social network strives to be LinkedIn. Thankfully, they have recently presented an interesting solution to help Facebook Fan Page’s target specific groups and possibly job seekers. Facebook Fan Pages with more than 5,000 likes are now able to target specific fans by options including age, gender, relationship status, location, and education. While page post targeting applies only to news feed distribution, this is a step in the right direction as employers are looking for way to reach a specific user audience and rise above the noise increasing candidate engagement and further strengthening the employer brand and job seeker relationship. Did I mention this new feature is offered at no cost to you? It is a separate feature from Facebook’s paid option, promote post. Promoting Specific Job Postings & Career Fairs by Location. This is a biggie. I can target my posts to a certain geographic location keeping unnecessary updates out of other fans feeds. Education Specific Targeting. Maybe I’m struggling filling roles in healthcare or for a position that requires a unique and very specific degree program or background. If this job seeker is currently a fan, I can point my message directly to their news feed. Targeting Diverse Employment Groups. If you are an affirmative action employer, you can focus some of your Facebook recruiting efforts directly to these job seekers by age and gender. While this presents an opportunity to focus your messaging, I also see the potential liability as employers can target their recruiting efforts with potential discrimination against a protected employment class. This new feature, which began undergoing testing in early August, is still only limited to a number of fan pages. Because this option is only available to pages with 5,000 fans and above, look for companies to even more aggressively promote their pages in order to receive this added benefit.